Horizon staff geologists are mostly seasoned veterans with many years of wellsite experience. All are degreed geologists: many have post-graduate degrees and/or are state registered geologists. Our ability to train young geologists has proven to be superlative. To provide accurate real-time analysis of subsurface lithology and stratigraphy, and evaluation of Earth’s natural energy resources. To enhance the safety and efficiency of wellsite operations. And to help protect the environment by supplying independent monitoring and reporting of geological occurrences. Over 3,500 wells since company founding in 1992. 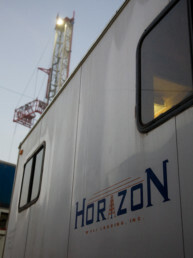 More than 1000 horizontal wells successfully steered. We have maintained a nearly flawless safety record during our company history. 99.7% of our work has been for repeat customers. 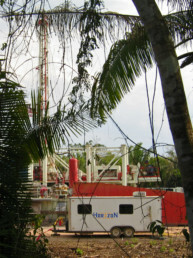 Drilling a well is an opportunity to gain knowledge about subsurface geology and to evaluate resources. 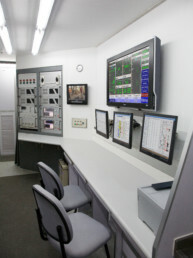 Horizon geologists and equipment provide you with confidence that all important information is being gathered. Our professionals distribute, interpret, and apply well data at the wellsite and in your office.